LOWE Robson - Encyclopaedia of British Empire postage stamps. Vol. VI. 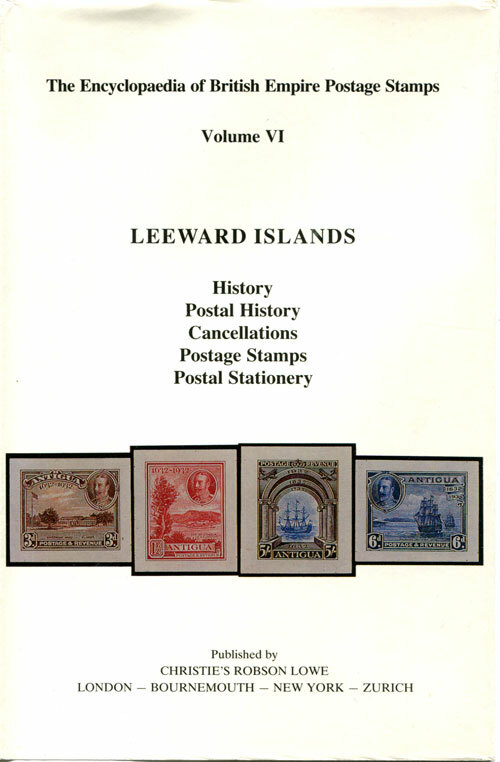 293pp, 1st ed., fine in D/W.A must for every collector of any of the Leeward Is., packed with information on postal history, postal markings, stamps, proof material and stationery. Highly recommended.